To create a Relive video we need a workout including a route (GPS data). 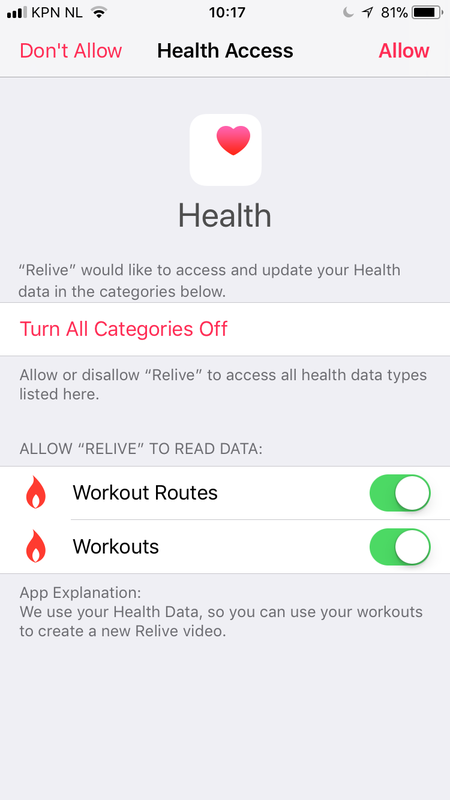 Connecting the Apple Health app allows Relive to read the Workout and Workout Routes data from iPhone, Apple Watch, and connected third-party apps that export Workout Routes to the Apple Health app. 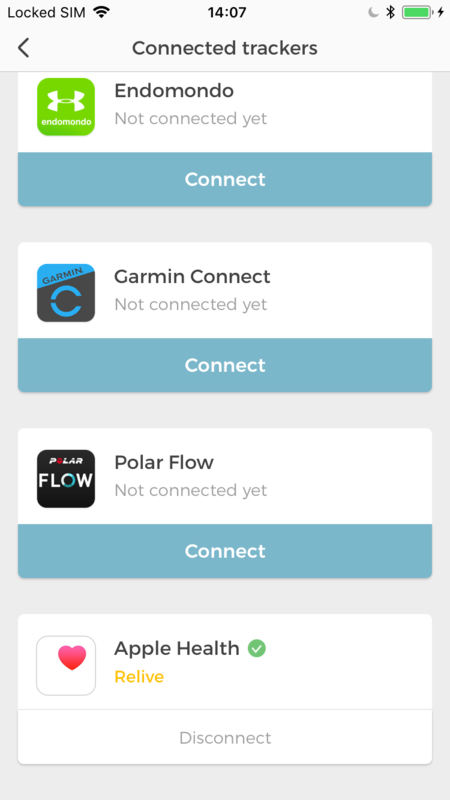 The number of third-party apps that export Workout Routes to Apple Health is limited, therefore activities tracked with Runkeeper, Runtastic etc. may not be available yet. Tap on Connected Trackers and scroll down to the Apple Health box. Click on Connect and Okay. 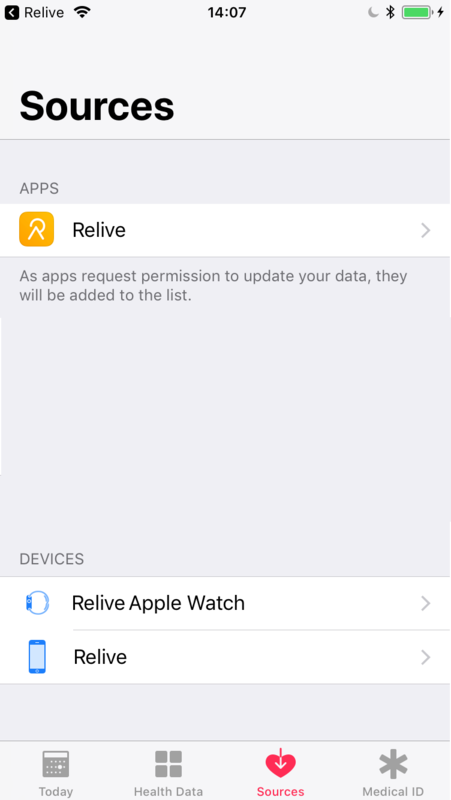 NOTE: You need to allow Relive to read the Apple Health data by changing the permissions in the Apple Health app. The Apple Health app will open on the Sources tab. Tap on Relive and allow Relive to read "Workout Routes" and "Workouts".